We are disappointed that despite the investment in new pavements, in some areas Norwood Road is impacted by dumped rubbish. Flytipping and commercial waste left on the pavements sometimes stains them and is unpleasant when people are shopping, living, working and travelling locally. 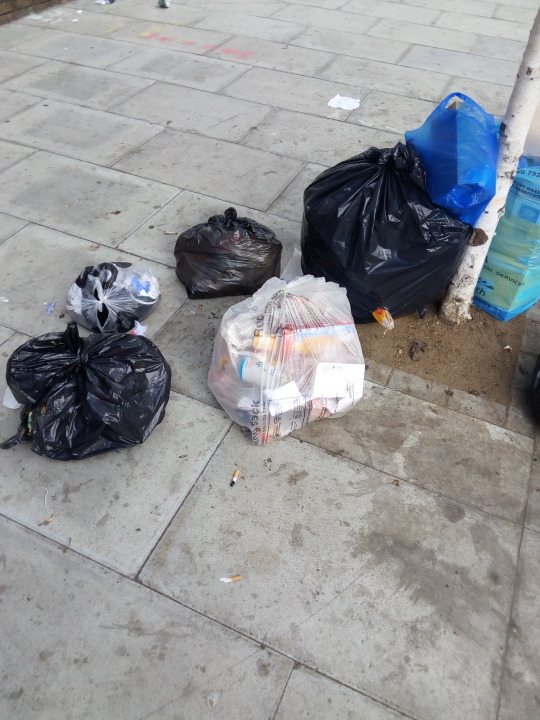 We have been working with residents to identify the hotspots and have organised for Lambeth’s commercial waste officer to visit businesses to make sure they have the right arrangements in place for rubbish collections. We are also looking to get particularly damaged areas of new paving jet washed. If you regularly see an area on Norwood Road or the Tulse Hill gyratory where rubbish is dumped, please do get in touch. Posted on July 3, 2017 by thurlowparklabourTagged cleaner streets, commercial waste, flytipping, streetworks, waste, west norwood.